Mike: Jim, what are you looking for? When you see the picture and remember this is a family website, how would you caption it? 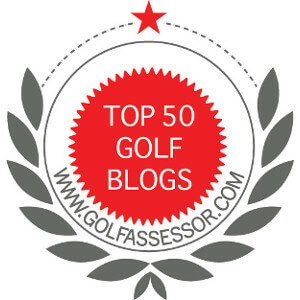 ← What Causes Your Downfall on the Golf Course? Josh, too funny! I am glad it was not either. Hmm…maybe I should have taken my glove off. Looks like a hole in one to me. Rain this past summer was tough this year for me. I lost at least 2 dozen golf balls in the middle of the fairway this year on just two holes (1 & 10) on my home course. They would just sink into the ground 3 inches or more and be gone. On another hole, my partner one day and I had hit our balls close to each other off the tee. As we walked up to where they were I was in the lead and I walked over a large bump in the ground without thinking. It felt squishy to me but it held. My partner who weighed quite a few pounds more wasn’t so lucky. When he stepped on the mound, he went right through the turf and sunk in to his knee. I’d heard of that before but that was the first time I saw it in action. It’s only maybe 3 feet above sea level and a hundred yards or less from the water on that hole. And the water can build up under the turf sometimes making a sort of bubble which my partners weight burst. Thankfully for him it’s the 17th hole so he didn’t have to spend too much time with one leg all muddy. That is really soggy. I have played in very wet conditions but normally it is just standing water. Living on the Canadian Shield, the ground is pretty hard. Keep dry!